Fiat cars price starts at Rs. 5.45 lakh for the cheapest car Punto EVO and goes up to Rs. 10.76 lakh for the top model Fiat Linea. Fiat offers 7 new car models in India. Punto EVO (Rs. 5.45 lakh), Abarth Avventura (Rs. 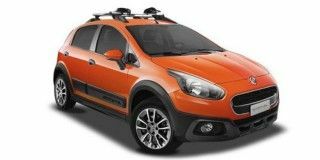 9.99 lakh) and Avventura Urban Cross (Rs. 6.85 lakh) are among the popular cars from	Fiat. Select a Fiat car to know the latest offers in your city, prices, variants, specifications, pictures, mileage and reviews. Q. Whether it is available in CVT or AMT and does it have rear vent for AC, on road price in Bangalore? Q. I am going buy Linea petrol, please share your experiance. Q. Kindly please let me know the performance and maintenance of new Punto EVo diesel engine as I am interested in buying the car. 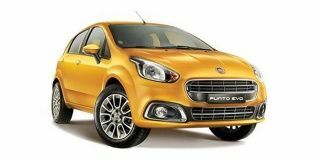 I have fiat punto evo emotion 2018 new model 90HP. almost 1year now about 8000 km travelled so far Very very nice. ofcourse you can go for it. Q. Is there any air quality purifier inside the cabin of punto evo emotion 1.3 2018? It misses out on Air Quality Control. Q. How do you feel body roll in evo emotion 2018 1.3? Q. How long before I need to get my Punto Evo diesel serviced? For diesel service interval is once in a year or 15k whichever is earlier. Can the Linea 125 S be the go-to sedan for the power-hungry family man? We grabbed the keys of the Fiat to find out just that! The second Abarth powered Fiat is a crossover meaning the same performance as the Punto, in a more practical package. Does it make us smile even wider?